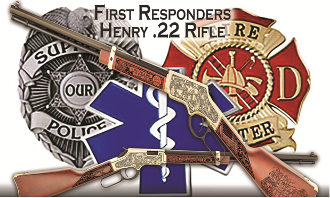 Buy your ticket now to get the first Utah 1st Responder Henry 22 rifle ever made! The proceeds will go to support our 1st responders, military and their families through the 1st Responder Ministry. You do not need to be present to win. There will only be 100 tickets sold. For more details go to www.firstresponderministry.org.